Happy Friday! 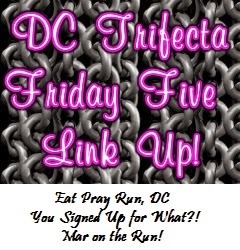 It's time for the link up with the DC Trifecta: Courtney at Eat Pray Run DC, Cynthia at You Signed up for What?, and Mar at Mar on the Run, as I do every Friday. 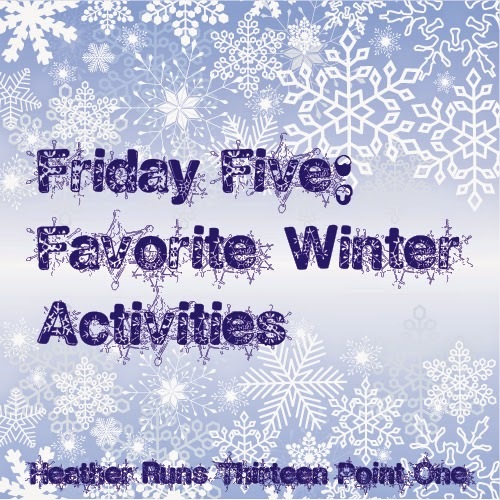 This week's theme is "Favorite Winter Activities". 1. Running. Yes, I'm a rare breed – I enjoy running in the winter! It's so peaceful (especially when there's some snow on the grass, trees, and bushes) and I think it's refreshing. Now, I'm not a fan of wind or if the ground is icy... I'm not always the most coordinated. This year I really want to get some Yaktrax so I can run whenever I want without worrying about falling. 2. Christkindlmarket. At Daley Plaza each year, Christkindlmarket arrives for about a month. This year it opened on November 21, and it will close on December 24. It's a traditional German American Holiday Market that has Glühwein, beer, German food (potato pancakes - yum! ), nuts, and lots of adorable shops that have ornaments, steins, etc. They used have cute ceramic boots for the Glühwein, and it was only about a dollar or two more, but last year they got rid of the boot and it was just a little mug... cute, but I liked the boot better. I'm actually heading there tonight with the husband, and then again Monday for lunch with my mom. Can't wait! 3. Drinking warm beverages and playing board games with friends. Hot spiced wine, hot chocolate, or hot cider – I love any of it! It's a great time of year to get together with friends and play some board games, like Cards Against Humanity... always a hilarious night. 5. Holiday Magic at Brookfield Zoo. I love going to the zoo to see all of the light displays and to visit all of the animals. It's a fun, low key evening. What are some things you love to do in the winter? Are there any special traditions that you MUST do each year? 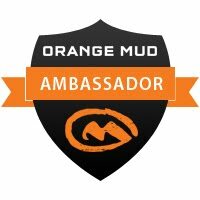 Would love to hear about them! Great list! Hitting the zoo to see the lights is on my list to do this winter too! 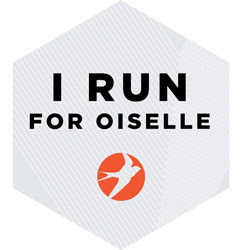 I'll be joining you in that small winter running loving group! I forgot about Christmas markets - the one you described sounds like alot of fun! Fun list. There was a Christkindlmarket near my work that I unfortunately couldn't stick around for. Looked like a lot of fun. That's a bummer - it's always a good time. I too remember driving around neighborhoods to see all of the lights when I was younger. So many great family memories from doing that.